I went back to the Guthrie yesterday morning to see it in daylight. 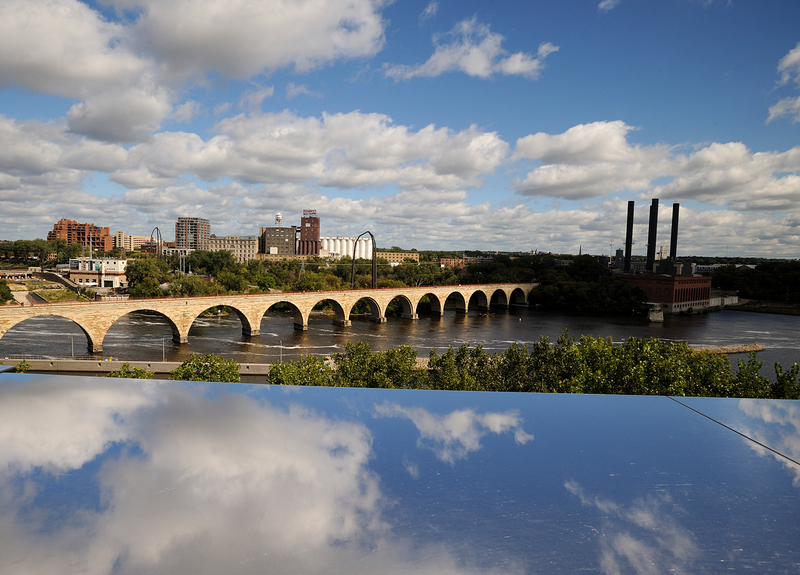 Architect Jean Nouvel wanted to create an unique observatory for viewing the Mississippi River, the Stone Arch Bridge and St. Anthony Falls, so he designed the “Endless Bridge”, a 178-foot walkway extending from the side of the building with a plexiglass wall at the end and mirrored surfaces all around. It’s gorgeous and the reflection of the too-perfect-to-be-believed blue sky and puffy clouds gave me some very fun compositions to play with.